There are about 10 different facets of the article I find interesting. I found of particular interest the idea that settlement mills create a “one size fits all” (my words, not hers) kind of justice. Under this system, individualized pain and suffering does not exist for settlement purposes. What matters, then, for car accident settlement purposes in non-serious injury cases is the amount of the medical bills, what the injuries are, and how much damage was done to the vehicles. Plaintiffs’ car accident lawyers have blamed this on a paradigm shift in the thinking of insurance companies in the 90s, This article argues, quite convincingly, that many plaintiffs’ lawyers are unindicted co-conspirators in this system. The author overlooks that settlement mill auto accident law firms are just one contributing cause. The opposite extreme is equally to blame, lawyers who have very small practices and no real marketing presence that do that exact same thing. Take the case, send in the medical records and bills, and settle the case for whatever you can. There are tons of local lawyers parading as lawyers suited to handle car accident claims. The bigger problem? These same lawyers get serious injury accident cases, typically car accidents, where the victim’s financial future is at stake. These lawyers take the case because they can’t resist and the results are often disastrous. 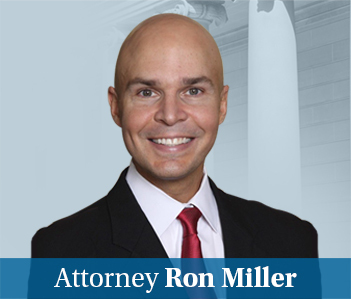 Settlement mill law firms often have the good sense to refer these cases out, realizing they are asking for a legal malpractice lawsuit. Often, the guy with the office on the corner that does wills, criminal, domestic, and everything else under the sun does not have this same sense. Of course, it is a mistake to label every solo general practitioner as incompetent to handle large auto accident cases just as it is a mistake to assume every firm that runs massive amounts of television commercials as settlement mills. What is a good plaintiffs’ auto accident lawyer to do if he does not want to get caught up in this mess that has been created? If you have a client who wants to settle their auto accident claim quickly and at any price, you are going to be a victim of this system. There is no way out. But if you have a client that wants to maximize the value of their case, there is a simple answer: file suit and request a jury trial. The insurance company is either going to pay at least a reasonable value on the claim or it is going to go to trial where a jury is going to give you the fair value of the case. Because a jury is the ultimate definer of the fair value of a case.